This book was written while I was in jail from October 24, 2003, until January 4, 2005. I wrote these poems about my wife and how I felt about her and our marriage. I also wrote for other inmates to send to their ladies. As I wrote, I reflected on my mistakes and mostly on God. I wanted this book to capture the essence of true love and forgiveness. 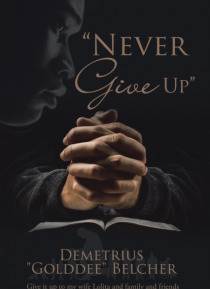 This book is about never giving up on anything yo… u care about. Work hard at accomplishing your goals. Put your right foot forward as they say, but I say trust God and you can do all things through Him.